Whidbey Island (historically spelled Whidby) is a large island located in Island County, WA, in the United States. Whidbey is around 30 miles north of Seattle, and lies between the Olympic Peninsula and the Seattle-Metro corridor of western Washington. The island forms the northern boundary of Puget Sound. It is home to a strategically significant Naval Base: Naval Air Station Whidbey Island. 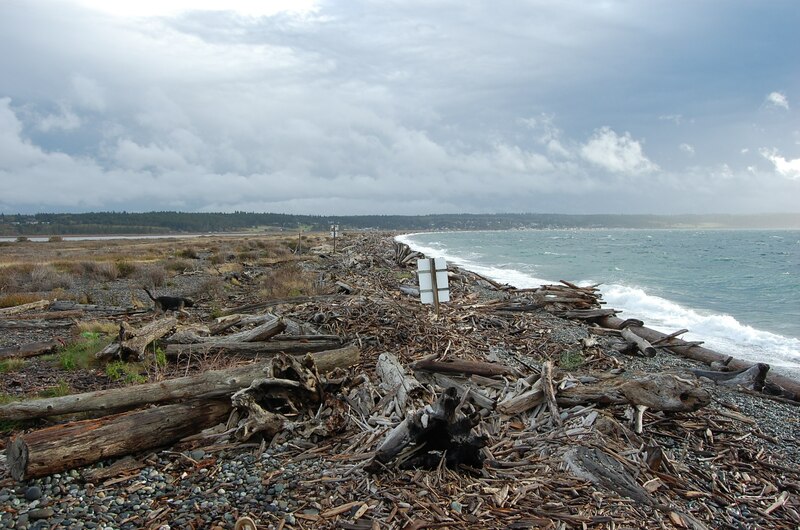 Whidbey Island is home to around 70,000 Residents also known as Whidbey Islanders. 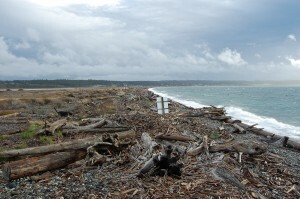 An estimated 29,000 of Whidbey Islanders live in rural locations on the Southern end of the island. Residents distinguish themselves as “Northenders” or “Southenders” based on the region of the island where they live. Whidbey Island is approximately 55 miles long and 1.5 to 12 miles wide making it the 4th Longest Island in the United States. It is the largest island in Washington State. Whidbey Island was once inhabited by many Native American tribes, including members of the Lower Skagit, Swinomish, Suquamish, Snohomish tribes. The first known European sighting of Whidbey Island was during the 1790 Spanish expedition of Manuel Quimper and Gonzalo López de Haro on the Princesa Real. The island was fully explored in 1792 by Captain George Vancouver. In May of that year, Royal Navy officers and members of Joseph Whidbey and Peter Puget, began to map and explore the areas of what would later be named Puget Sound. After Joseph Whidbey circumnavigated the island in June 1792, Vancouver named the island in his honor. The first known overnight stay on Whidbey Island by a non-native American was made on May 26, 1840 by a Catholic missionary during travel across Puget Sound. Lieutenant Charles Wilkes, commander of the United States Exploring Expedition of 1838–1842, sailed the USS Vincennes into Penn Cove in 1841. There he found the largest Native American settlement on Puget Sound and noted that a Catholic mission had been started with a 2-acre fenced garden. Wilkes named the harbor to the south of Penn Cove, Holmes Harbor, after a crewmember, Silas Holmes. In 1850, Colonel Isaac N. Ebey became the first known white settler on Whidbey Island, claiming a large swath of prairie with a southern shoreline on Admiralty Inlet. Even though he made a living farming potatoes, wheat, and other crops on his land, he was also a postmaster for Port Townsend, Washington and rowed a boat daily across the inlet in order to work at the post office there. Nowadays, the same routh is sailed regularly by the Washington State Ferry System. On August 11, 1857, Colonel Ebey was killed and beheaded by Haida, a Native American Tribe that traveled from the Queen Charlotte Islands when he was 39 years old. Ebey was slain in proxy-retaliation for the killing of a Haida chief at Port Gamble. Fort Ebey, named for the Colonel, was established in 1942 on the west side of the central part of the island, just northwest of Coupeville. Admiralty Head Lighthouse is now located in this area, on the grounds of Fort Casey State Park. The area around Coupeville is now a federally protected National Historical Reserve, named in honor of Isaac Ebey. Whidbey Island, along with Camano Island, Ben Ure Island and six uninhabited islands, comprises Island County, Washington. The county seat is located in the town of Coupeville on Whidbey Island. Population centers of Whidbey Island include the City of Oak Harbor, the Town of Coupeville, the City of Langley, the Village of Freeland, the Community of Greenbank, the Village of Clinton and the Community of Bayview. Only Oak Harbor, Coupeville and Langley are incorporated, the others (with the exception of Greenbank and Bayview) are all Census Designated Places, and all but Bayview have their own post offices and ZIP codes. Whidbey Island is divided economically into two different regions: the northern end of the island (encompassing Oak Harbor and Whidbey Island Naval Air Station), and the remainder of the island (encompassing Coupeville, Greenbank, Freeland, Langley, Clinton and the smaller communities in-between). The economy of the northern end of Whidbey Island is strongly influenced by the presence of Whidbey Island Naval Air Station near Oak Harbor (N.A.S. Whidbey). N.A.S. Whidbey is Oak Harbor’s largest employer; thus, Oak Harbor has a predominantly service-based economy and several national chain stores have been attracted to the Oak Harbor area. The economy of Whidbey Island south of Oak Harbor relies heavily on tourism, small-scale agriculture, small local service businesses and the arts. Tourism is especially important for Whidbey Island. On Whidbey, tourists find a wide range of amenities in the towns of Oak Harbor, Coupeville, Freeland and Langley. Coupeville’s Penn Cove Mussel Farm exports large quantities of its highly renowned Penn Cove Mussels which travel to many high-end restaurants across the globe. This facility, along with a number of small farms, reflects the rural agricultural nature of most of central Whidbey Island. Often referred to as Puget Sound’s Largest Artist’s Colony, Whidbey is home to numerous working artists, writers, and performers. These include many well-known painters, sculptors, glass artists, wood workers, metal workers, mixed media artists, photographers, authors, poets, actors, and musicians. The south end of the Island is a true haven for those who enjoy the fine arts. In addition to being a haven for artists, the southern end of Whidbey Island also serves as a commuter community for the nearby cities of Everett, where the Boeing Everett Factory is located, and Seattle. Commuters to and from those areas use the Washington State Ferries system’s run between Clinton and Mukilteo. Whidbey Island is often claimed to be the longest island in the continental United States (or another similar claim), but it cannot be correctly considered so. It’s difficult to accurately measure Whidbey’s length due to it’s interesting shape. Whidbey Island has four lakes that are part of its interior hydrology: Cranberry Lake (inside Deception Pass State Park), Deer Lake (inside Deer Lake Park), Goss Lake and Lone Lake (both near the town of Langley on the South end of the Island). 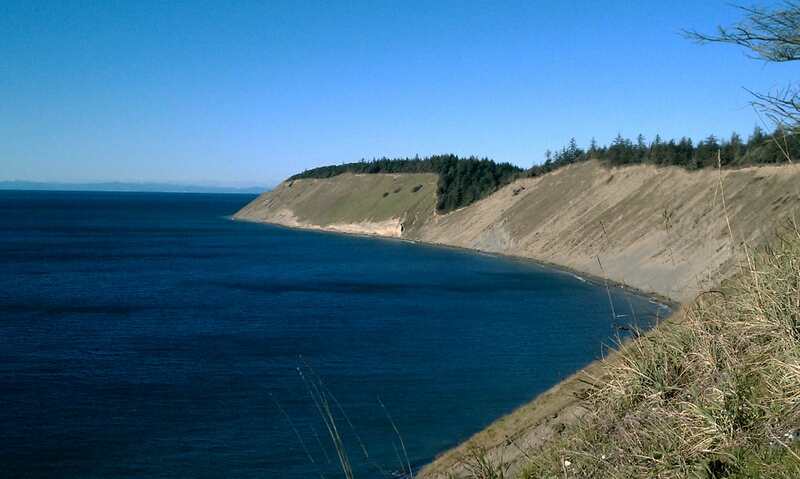 Whidbey Island contains Ebey’s Landing National Historical Reserve, the first national historic reserve in the US created by the National Park Service to preserve the rural history and culture of the island and to protect the area’s rare and sensitive plants. Washington State Parks located on the island include Deception Pass State Park (the most visited state park in Washington), Joseph Whidbey State Park, Fort Ebey State Park, Fort Casey State Park, Possession Point State Park, and South Whidbey State Park. There is also a large number of parks that are managed by local agencies and private interests. Earth Sanctuary is a nature reserve, sculpture garden and retreat center on Whidbey Island. The ponds and bog fen complex have been designated as a “habitat of local importance” by the Whidbey Audubon Society and Island County Critical Areas program. Whidbey Island hosts many festivals and celebrations throughout the year. Whidbey Island Area Fair, which takes place in August, includes rides, food, and animal shows. Wag’n’Walk, which takes place towards the end of August, is Western Washington’s premier celebration of dogs and things dog-related. It includes vendors, games, competition, demonstrations and the Wag’n’Walk itself. Whidbey Island Kite Festival, in September at the Historic Fort Casey State Park. Langley’s Mystery Weekend in March or February. For the weekend the Town of Langley turns into the setting of a fictional murder mystery. Penn Cove Mussel Festival, which takes place in March, celebrates the bounty of the sea, especially the mussel. Maxwelton Beach Fourth of July Parade and fireworks show, which takes place at the southern end of Maxwelton Beach Road at Dave Mackie Park. After the parade, there are events for all ages, including three-legged races, divided into age groups, and the most popular event, the egg toss. Choochokam is the annual street fair and arts festival, held in downtown Langley during the second weekend of July, detailed schedules and other information is generally available on the festival website. Tour de Whidbey, in September, is a bike race spanning the length of Whidbey Island. Whidbey Island Marathon, April 19th. Whidbey Island Race Week – Week long sailing regatta every summer based out of Oak Harbor with daily racing in Penn Cove and/or Saratoga Passage (depending on wind conditions). Usually held third week of July, varies slightly due to tidal conditions. Whidbey Island lies in the famed rain shadow of the Olympic Mountains to the west, and has 7 different micro-climates. This can be observed by rainfall amounts – wettest in the south with average rainfall of 32 inches, driest in the central district of Coupeville with average rainfall of 20 to 22 inches, and turning wetter again farther north with average rainfall of 31 inches . This is significantly less than Seattle, which receives an average of 38 inches of rain per year. Vegetation varies greatly from one end of the island to the other. Vegetation in the south is more similar to that of mainland Washington. The principal trees are Douglas fir, red alder, bigleaf maple, western red cedar, and western hemlock. Compared to the rest of western Washington state, vine maple is notably absent, except where they have been planted. Other under-story plants include the evergreen huckleberry, lower longleaf Oregon grape, elderberry, salal, oceanspray, and varieties of nettle. Non-native introduced plants such as foxglove, ivy and holly are also evident. Farther up the island, however, the shorter Oregon-Grape and the blue Evergreen Huckleberry is seen less, while tall Oregon-grape and Red Huckleberry predominate. The beautiful native Pacific rhododendron is much more visible. Amongst the deciduous varieties, Garry oak (from which Oak Harbor takes its name) are seen more frequently in the northern portion of the island and Pacific madrona is also notably present. In the conifer classification, grand fir is found more in the northern part of Whidbey Island along with Sitka spruce and shore pine. There are three open prairie areas on Whidbey Island – Smith Prairie, Crockett Prairie and Ebey Prairie. Interestingly, some patches of prickly pear cactus are found along the slopes near Partridge Point. Whidbey Island is host to an amazing variety of birds and, including the Pigeon Guillemot which makes it a haven for birders. Deer, Rabbits, and Squirrels can all be found. Some show quality rabbits escaped from the fair awhile back and proceeded to breed and live in the City of Langley. They make an interesting conversation piece when you see them hop by as you browse the local shops. Gray whales migrate between Whidbey and Camano Islands during March and April and can be seen from both ship and shore. Orca , Sea Lions, and Seals also make use of the waters surrounding Whidbey Island. Whidbey Island is served by three public school districts. Oak Harbor School District operates in Oak Harbor. Within the district, there is one high school, one alternative high school, two middle schools, and five elementary schools. Within the Washington Interscholastic Activities Association, Oak Harbor High is listed as a 3-A school. Coupeville School District operates in Coupeville, Washington and Greenbank, Washington. Within the district, there is one high school, one middle school, and one elementary school. Within the Washington Interscholastic Activities Association, Coupeville High is listed as a 1-A school. South Whidbey School District serves the southern end of the island, including Freeland, Clinton, Bayview, and Langley. Within the district, there is one high school (grades 9–12), one alternative school (grades K–12), one middle school (grades 6–8), and one elementary school (grades K–5). Within the Washington Interscholastic Activities Association, South Whidbey High is listed as a 1-A school. Skagit Valley College has a campus located in Oak Harbor, and a limited service campus in South Whidbey. Seattle Pacific University owns Camp Casey, a retreat center near Coupeville, which was once the barracks for the adjacent Fort Casey. 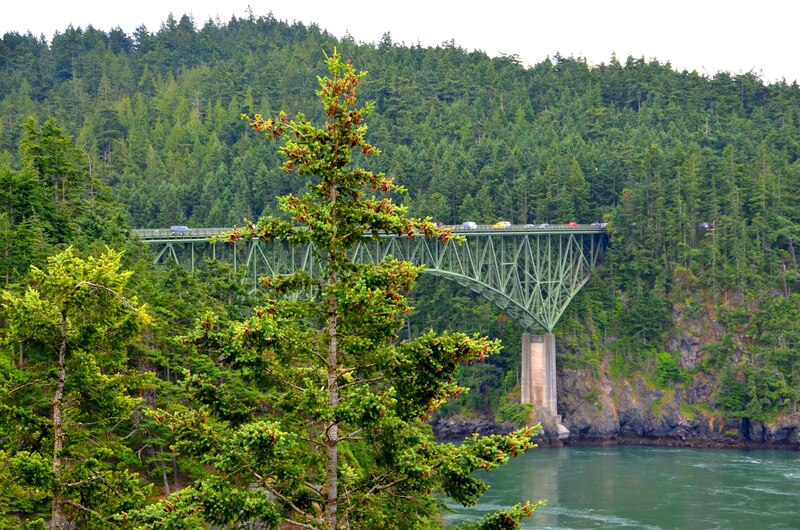 The only bridge that reaches Whidbey Island is the Deception Pass Bridge, State Route 20, which connects the north end of Whidbey to the mainland via Fidalgo Island. 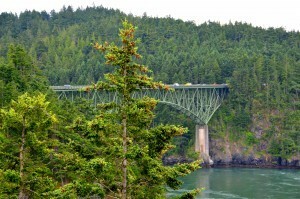 Prior to the completion of the bridge in 1935, Whidbey Island was linked to Fidalgo Island by the Deception Pass ferry, which ran from 1924 to 1935. Modern ferry service is available via State Route 20 on the Coupeville to Port Townsend ferry, and via State Route 525 on the Clinton to Mukilteo ferry service on the southern east coast. Travel on the island involves use of an extensive county road system, or city infrastructure depending on location, all of which act as feeders to the two state highways State Route 525 and State Route 20. Public transportation is provided by Island Transit, which provides a zero-fare bus service paid for by a 6/10th of 1% sales tax within the county. There are currently 10 bus routes serving Whidbey Island. Limited service is available on Saturdays (only 4 routes), and buses do not run on Sunday or major holidays. Two public airports provide service to Whidbey Island. Whidbey Air Park is located 2 miles southwest of Langley with a 2,470 feet long runway. Wes Lupien Airport is located 3 miles southwest of Oak Harbor with a 3,265 ft long runway. In addition, there are approximately half dozen private dirt strips on the island. Kenmore Air Express restarted scheduled airline service to Whidbey Island in 2006, serving the Oak Harbor airport. This service was discontinued January 1, 2009. The United States Navy operates two airports on Whidbey Island. The largest is a two-runway airport located at Whidbey Island Naval Air Station north of Oak Harbor. In addition, the Navy also operates a flight training facility named Coupeville Outlying Landing Field (Coupeville OLF) located just southeast of Coupeville. The Navy named USS Whidbey Island (LSD-41) in honor of the island. Whidbey General Hospital is the regional, county-run hospital. Located in Coupeville, the hospital has extension clinics in both Clinton and Oak Harbor. The Naval Air Station in Oak Harbor has a limited service hospital for military personnel, veteran retirees and their dependents only.